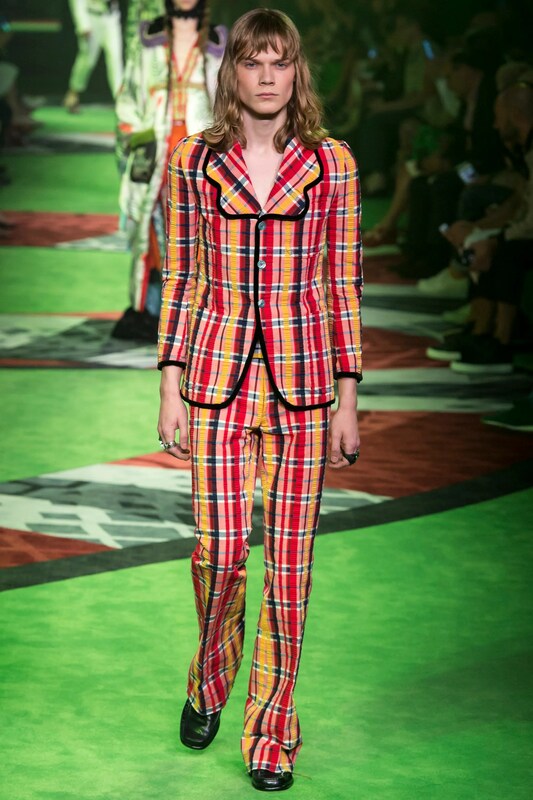 Fashion and Beauty Trends, Product Reviews and Demos, Tutorials and How-To's; Health and Fitness- diet, exercise, and weightloss. 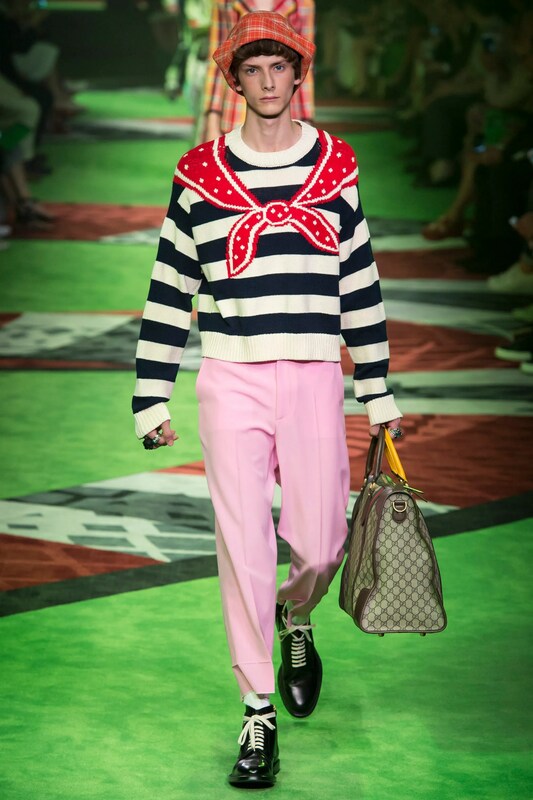 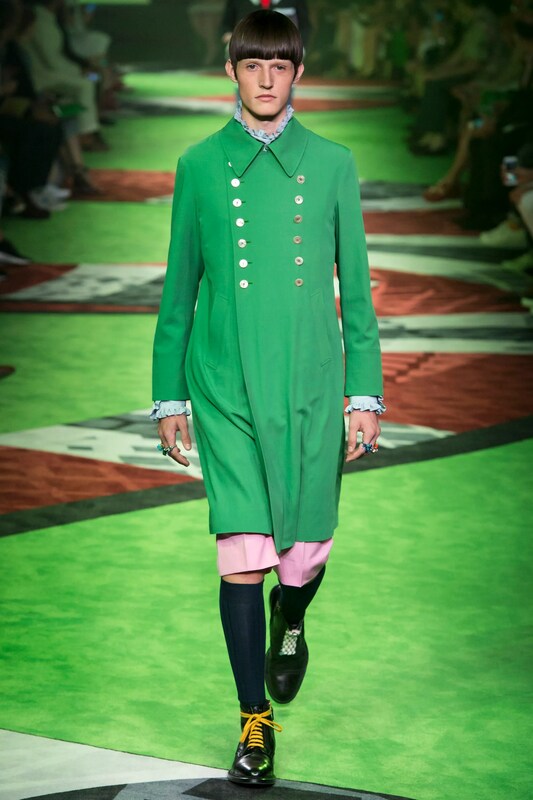 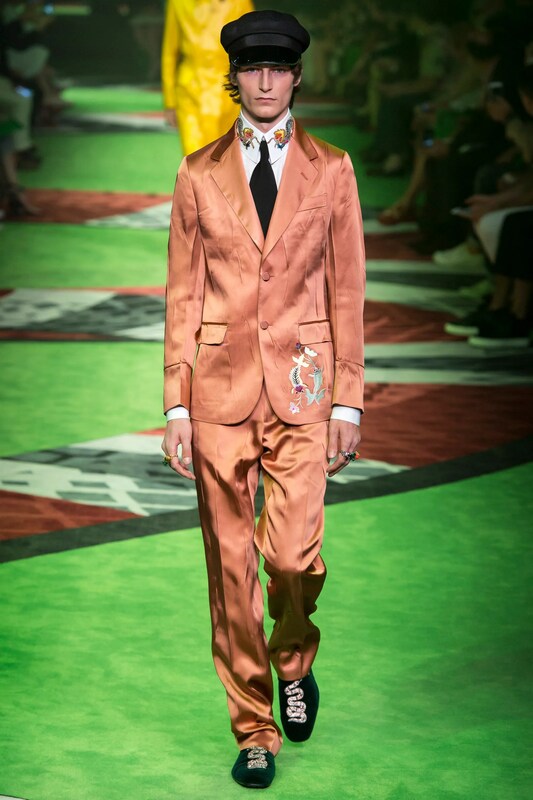 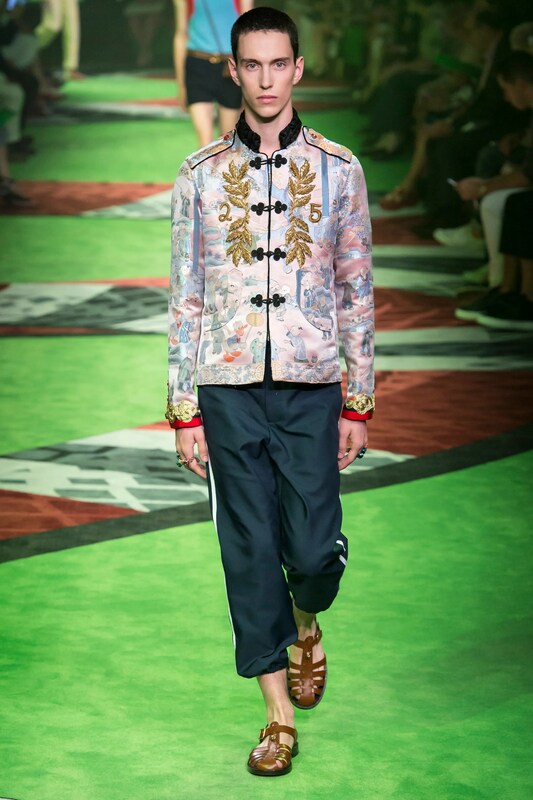 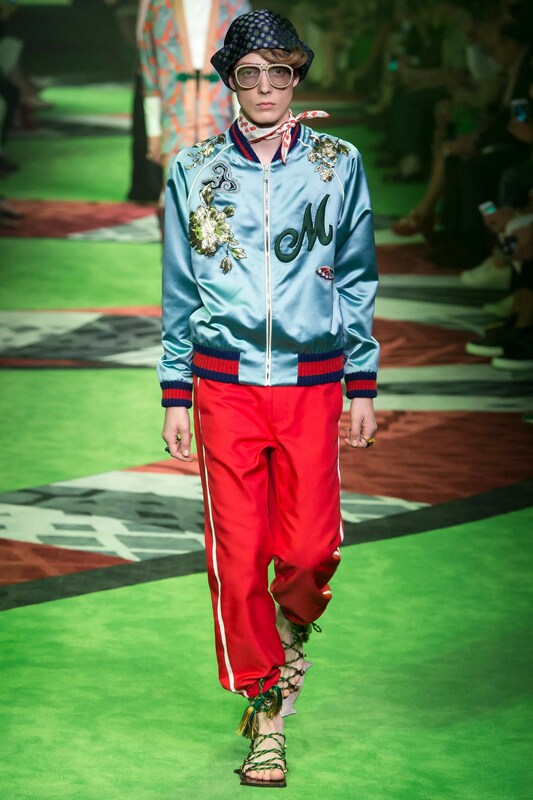 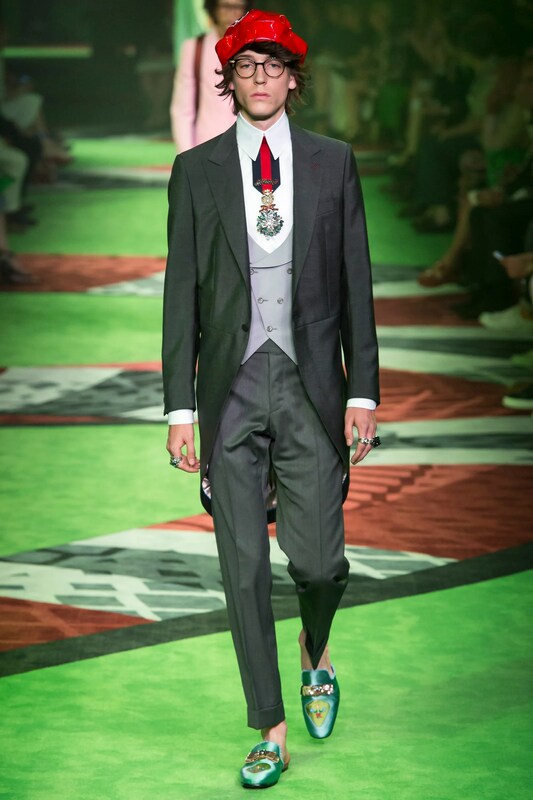 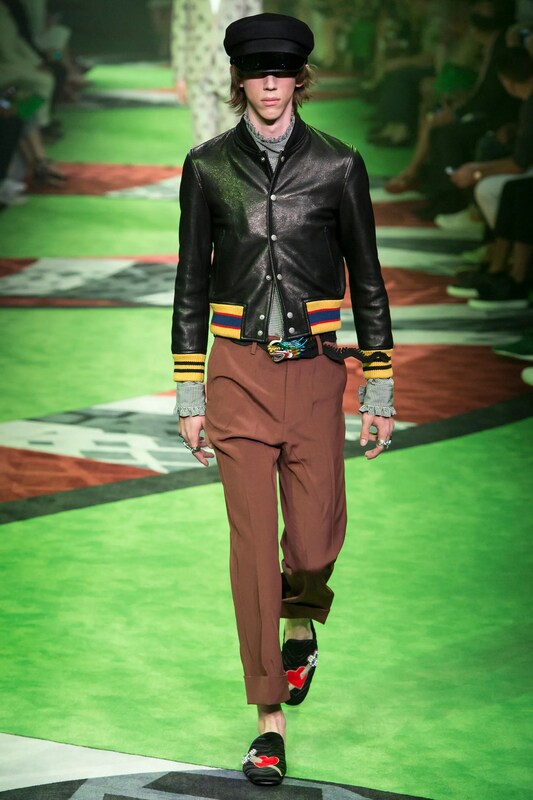 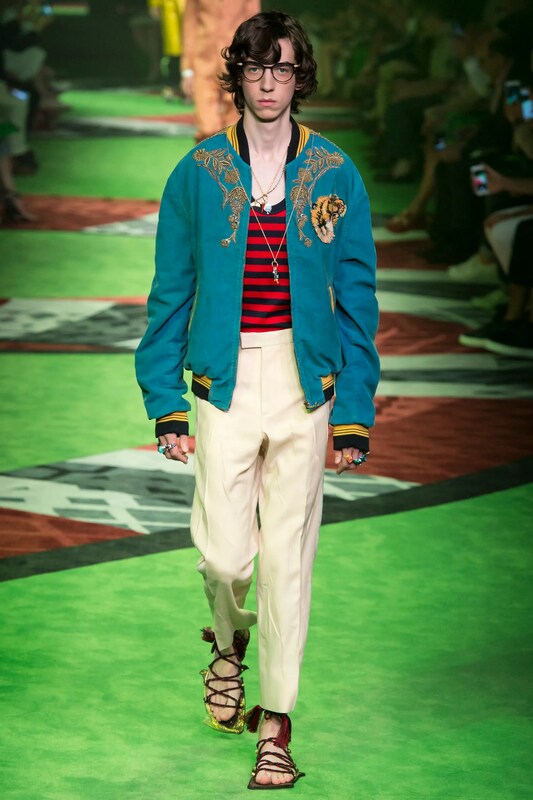 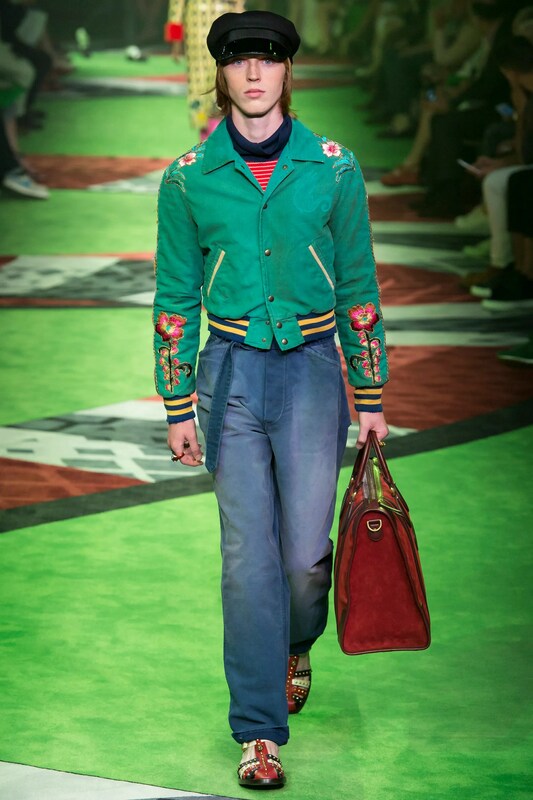 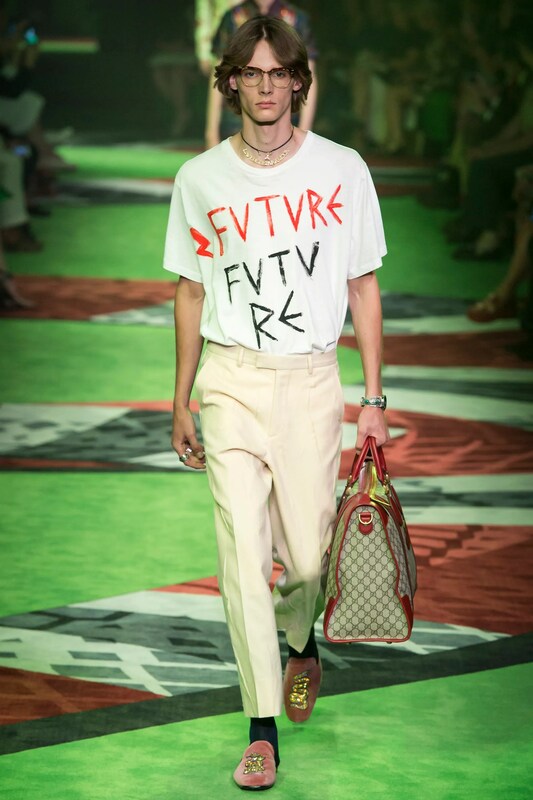 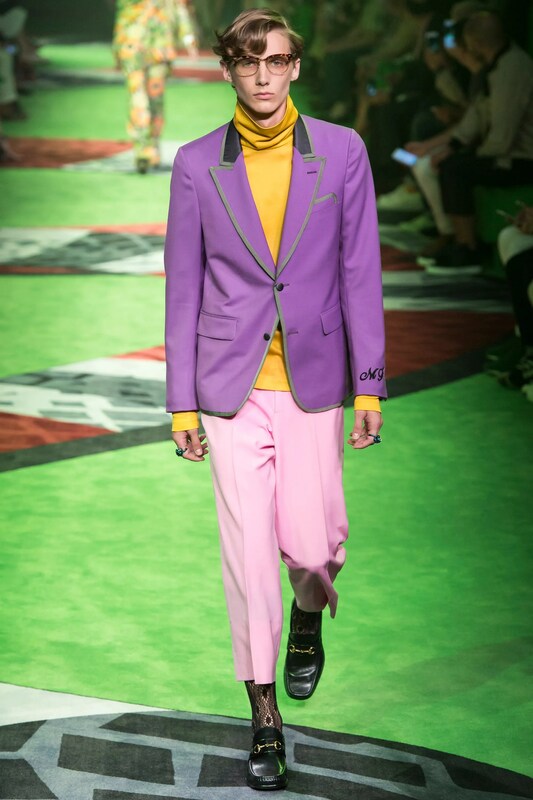 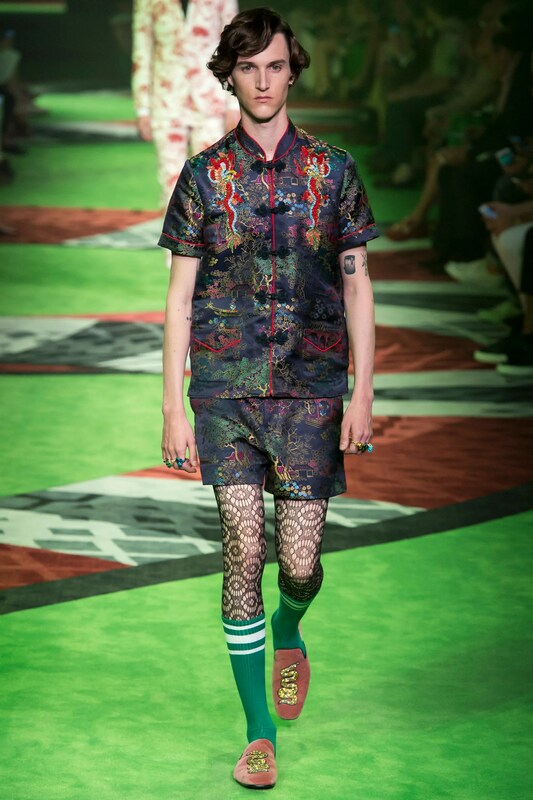 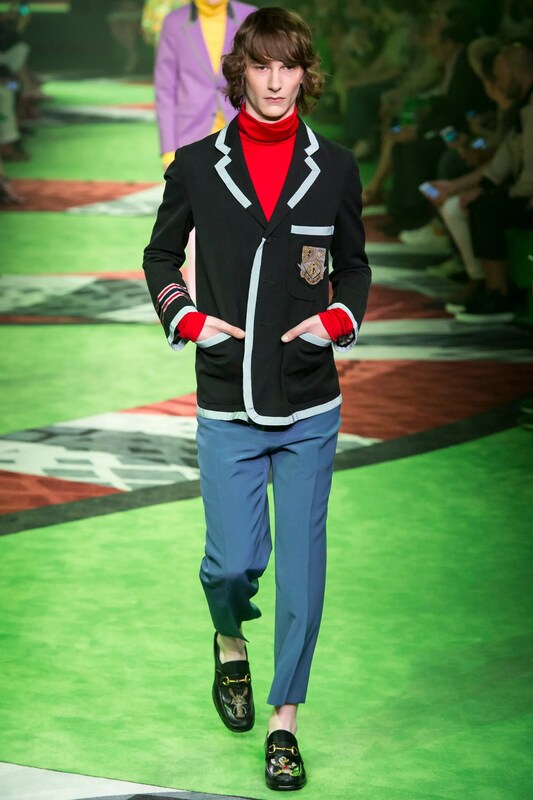 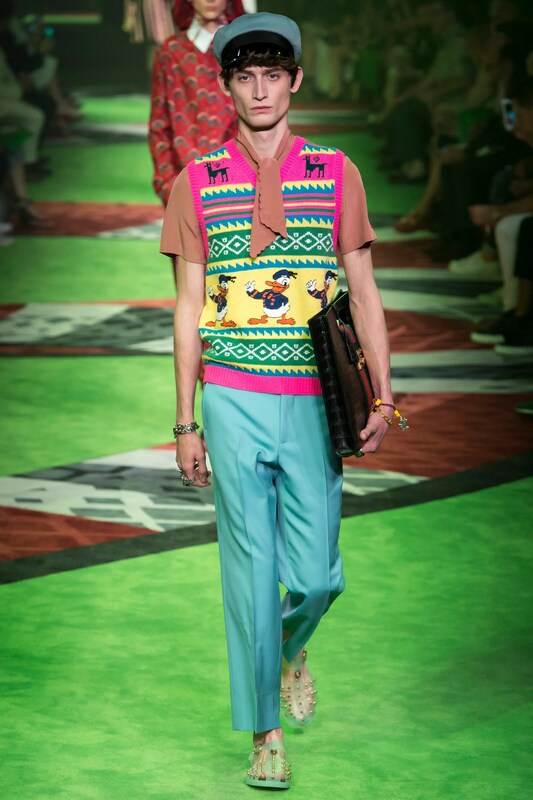 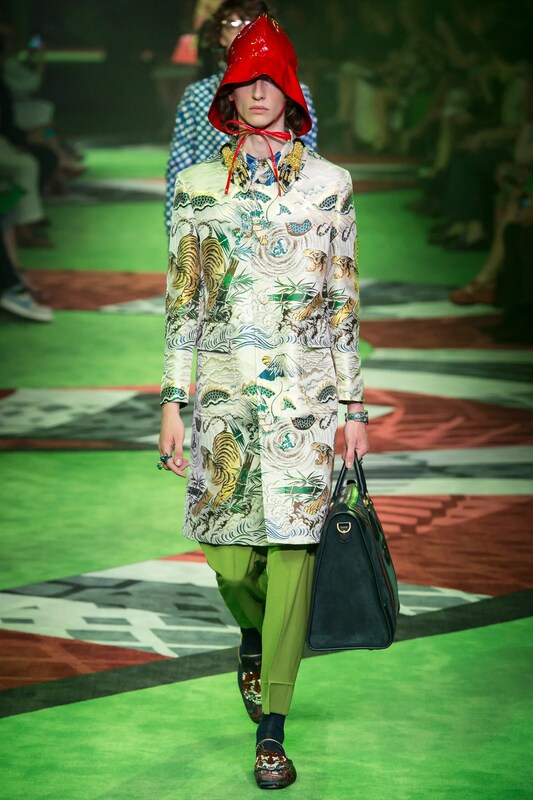 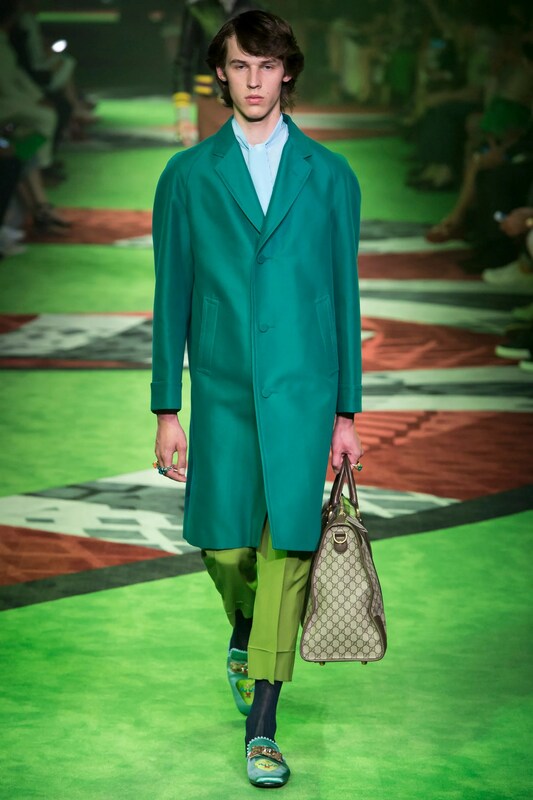 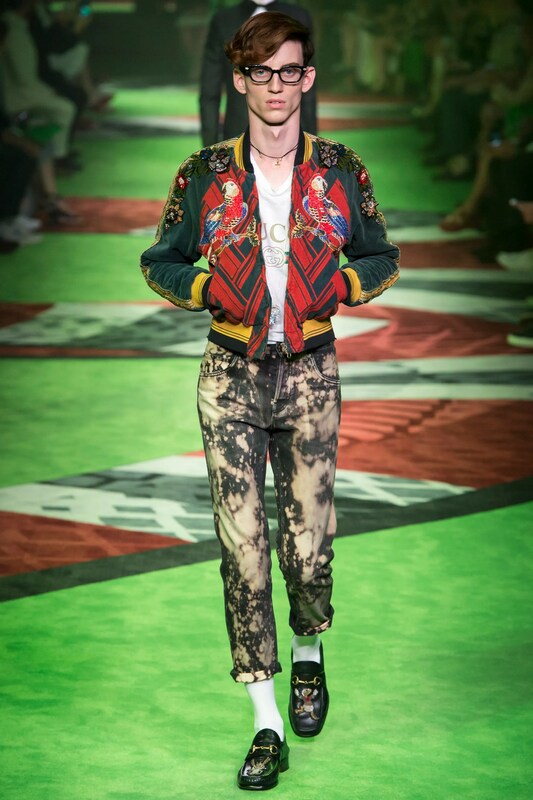 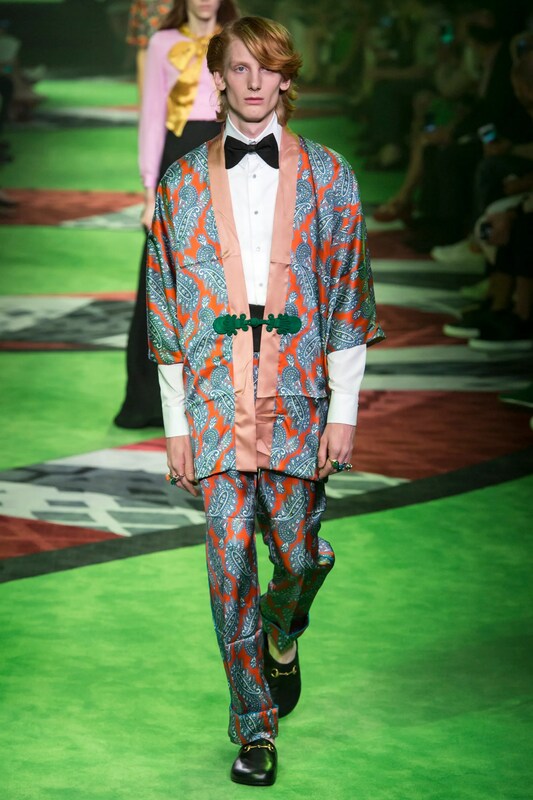 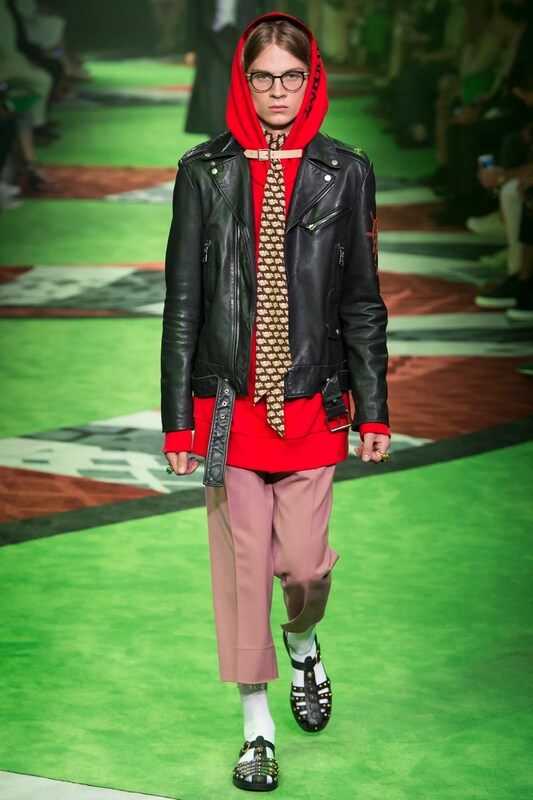 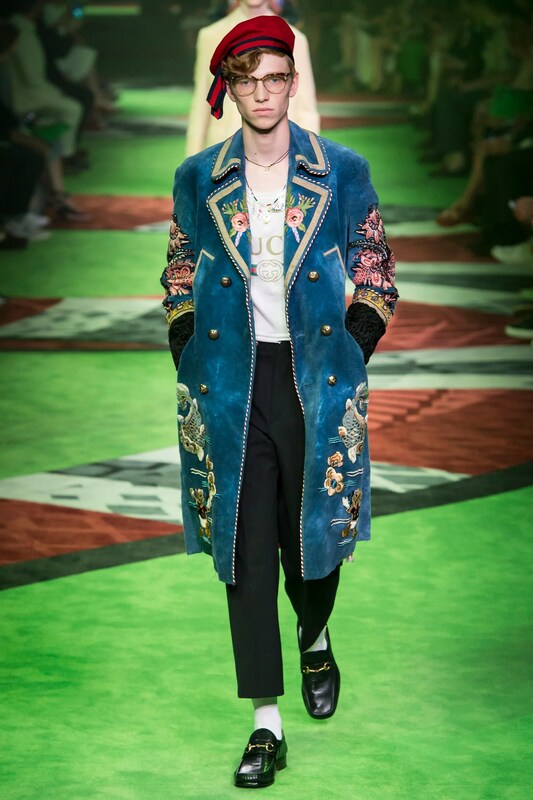 Bon voyage: the Gucci Spring/Summer 2017 Menswear collection was inspired by the adventures of Marco Polo, made evident with period and culturally themed looks- silk, Asian motif embroidery, those strap and buckle shoes… (Vogue.com). 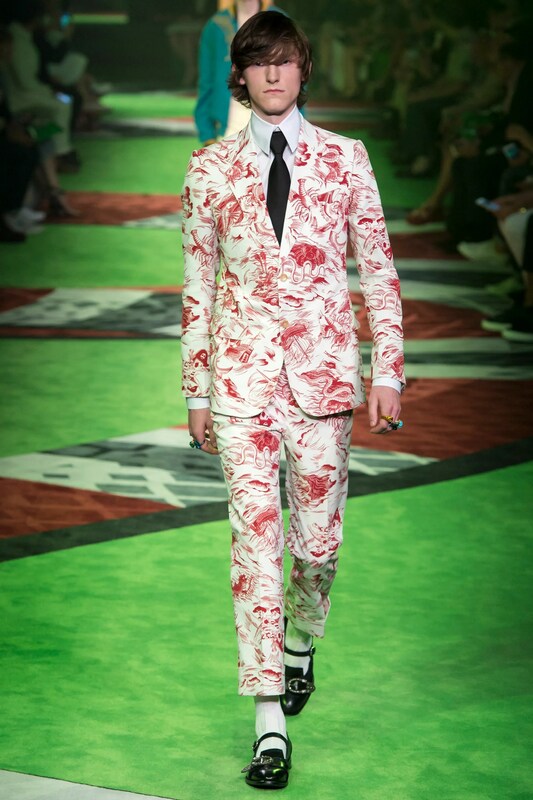 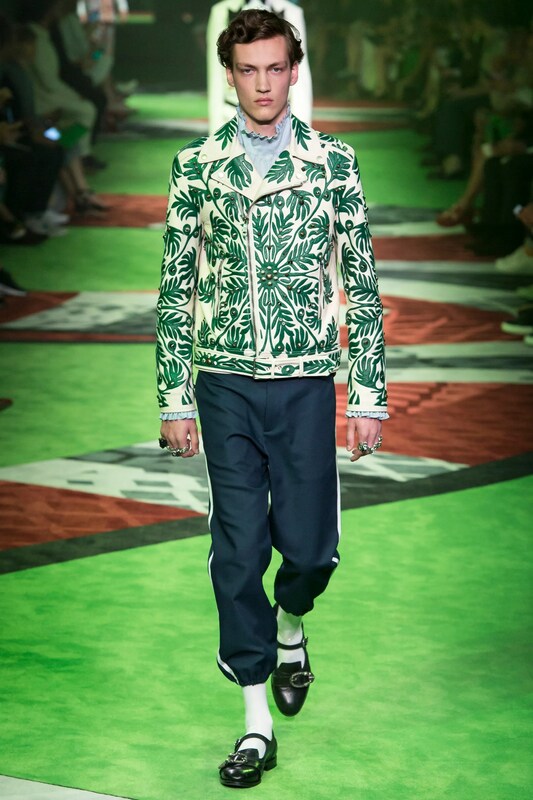 Some of the prints were taking us back to the onset of the dandy trend, with pastel florals, other fabric selections seemed questionable although 70’s inspired. 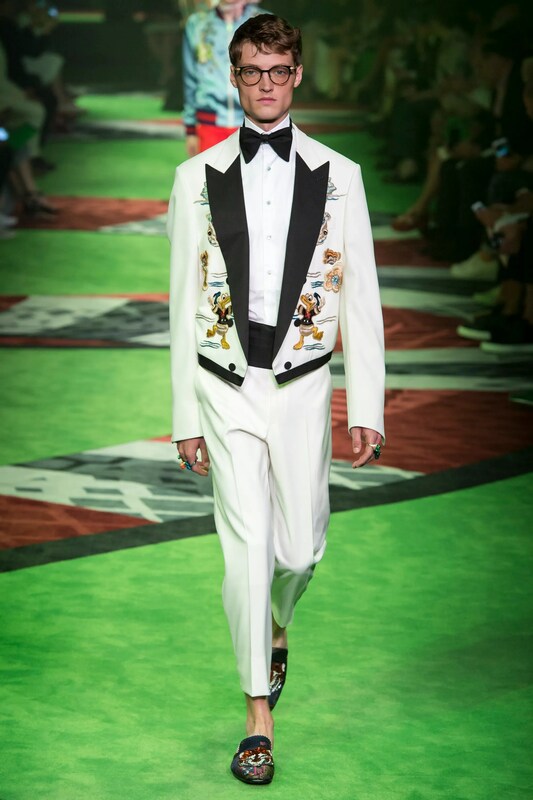 Donald Duck embroidered tuxedo jackets, bandana-graphic-knit sweaters, silken track suits, lace-up strappy sandals, and the PJ and robe looks all washed up onto the runway. 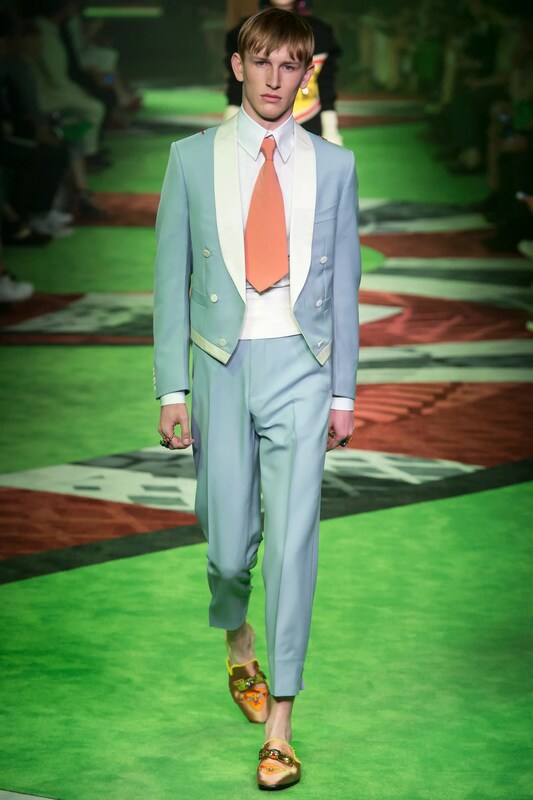 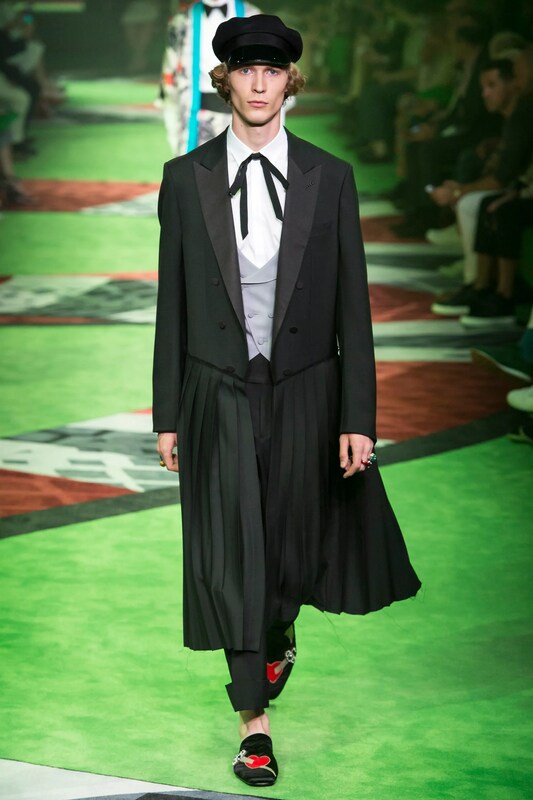 Some of the looks worked, some didn’t- the dandy garments being among those that didn’t, along with the Dumb and Dumber tux. 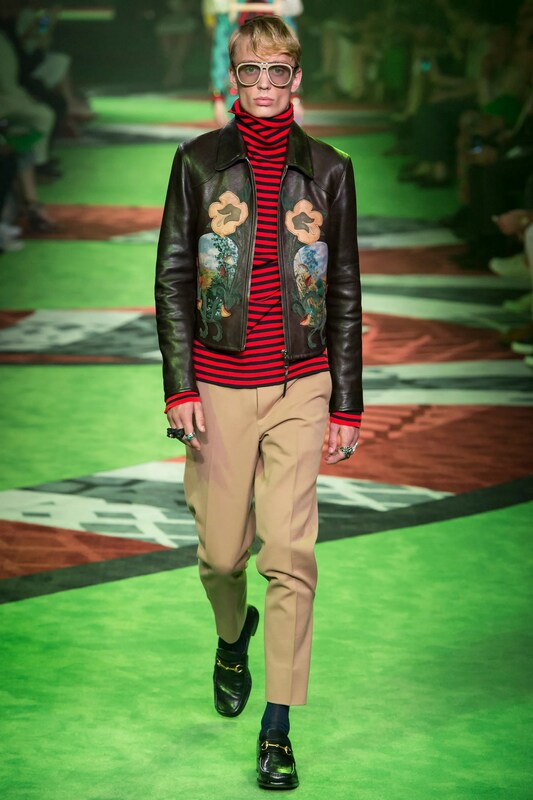 The East meets West, floral embroidered leather moto jackets, for example, was successful in translating this excursion of a runway show to the 70’s trend and giving a bit of edge to the collection.